Two words. Curry udon. That is all. 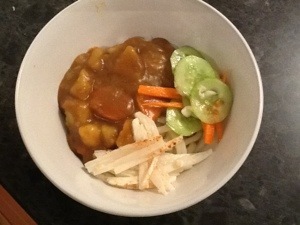 Oh, and daikon radish salad and homemade pickles. Yum!